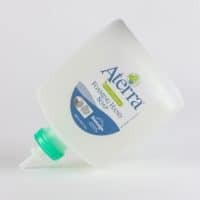 Short Description: Aterra Eco-Premium Foaming Hand Soap combines thick, rich lather to clean hands with natural glycerin and panthenol (provitamin B5) to soften and condition the skin. 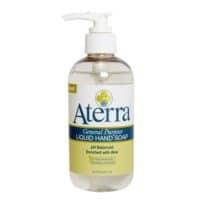 Be the first to review “Aterra Eco-Premium Foaming Hand Soap – 18 oz Pump Bottle” Click here to cancel reply. Result: Under conditions of the study, there were no identifiable signs or symptoms of sensitization (contact allergy) noted for Aterra Eco-Premium Foaming Hand Soap. 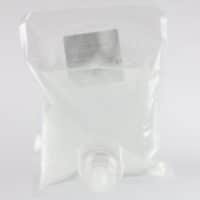 Result: Sample demonstrated ready biodegradability according to the conditions set forth in OECD 301B requirements of achieving the 60% conversion of carbon to carbon dioxide within the required timeframe. From the test analysis, the sample achieved a ThCO2 value of >80% by the end of the test period based on the total carbon content. Results: The IC(20) values determined indicate that the test formulations would not be expected to inhibit biodegradation by environmental microorganisms. 1. Cleaning Ability: A measure of the ability of the formulation to help lift and remove soil from the skin. 2. Richness of Lather: A measure of the volume of lather generated by the test product, water, and scrubbing action. 3. Pleasantness of Scent: A measure of scent of the formulation from pleasant to unpleasant. 4. Speed of Rinsing: A measure of the time it takes for the dirt and lather to be rinsed from the hands. 5. Skin Condition After Use: A measure of the overall skin condition after use to include softness or roughness, hydrated or dry, tacky or prepared. Result: The results of this Comparative Hand Cleaner Performance Test indicate that Aterra Eco-Premium Foaming Hand Soap performed as well or better than the Comparative Formulation in all performance measures.